I've asked a few blog friends to share their experiences and adventures this week and I'm pleased to introduce this incredible travelogue from Adina Marguerite Pease from Gluten Free Travelette I've been following her blog for quite some time and the girl knows how to travel. 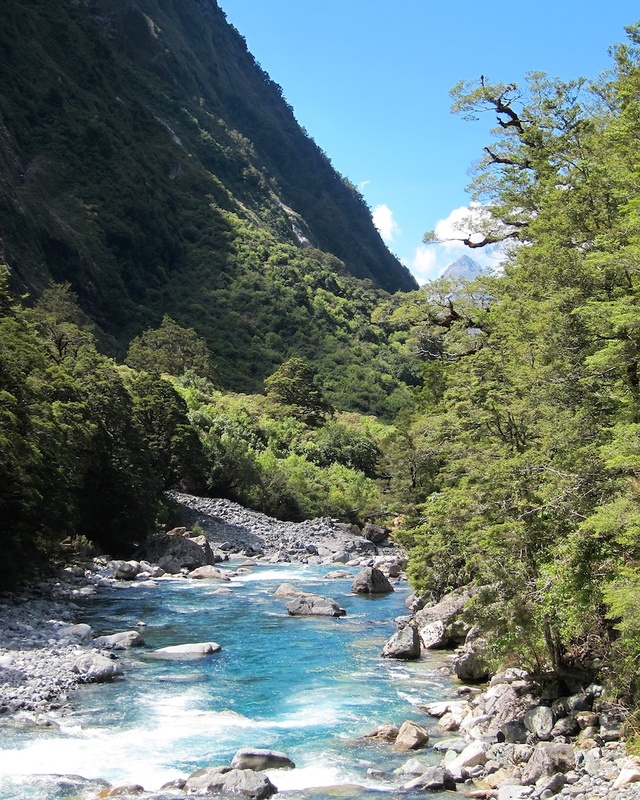 She's been kind enough to share one of her favorite drives through Fiordland National Park in New Zealand. If this post doesn't make you want to hop on the next flight to NZ, I don't know what will. Enjoy! Located on the Southwest quadrant of the South Island of New Zealand, Fiordland National Park is the place I just can’t stop dreaming about. 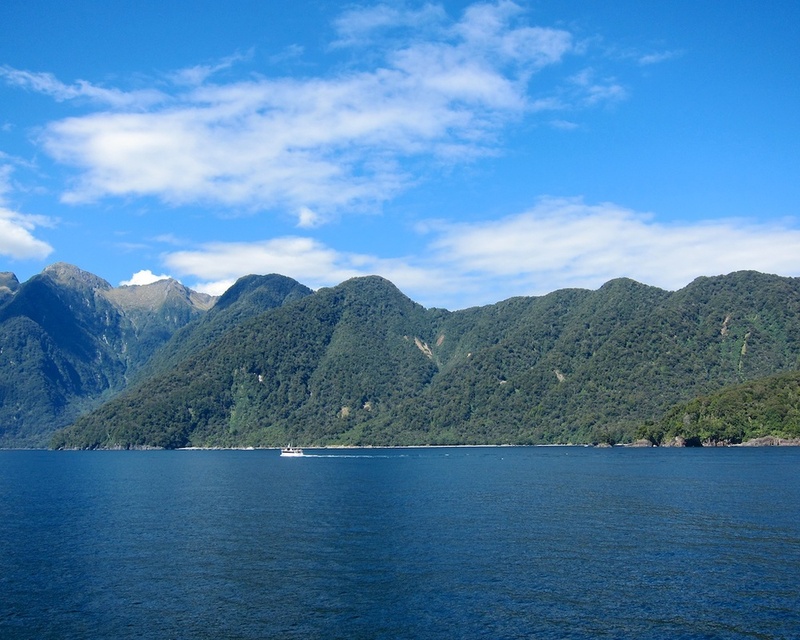 Within the 12,500 square kilometers lie dramatic fiords, rainforests, lakes, meadows, and granite peaks. 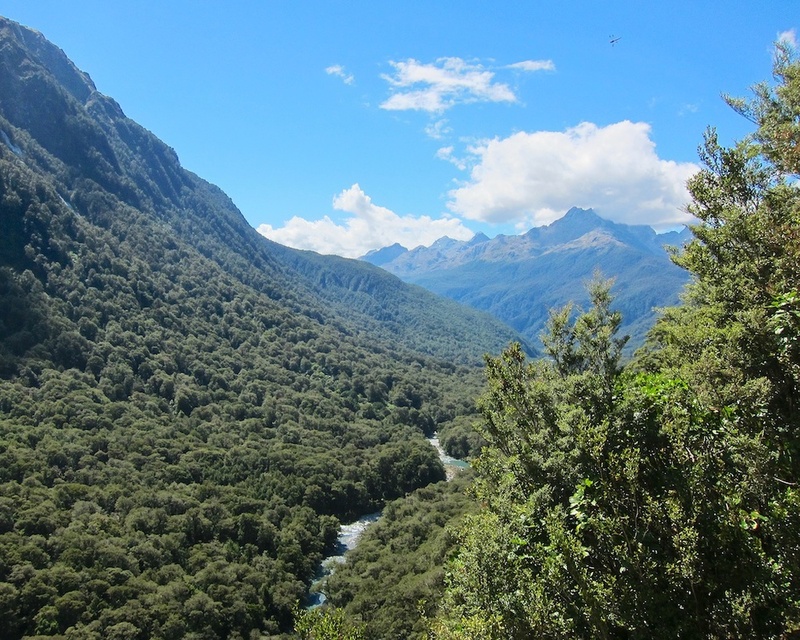 In addition to the varied landscape, the unique biodiversity of the flora and fauna have earned Fiordland National Park a designation as part of the Te Wāhipounamu World Heritage Site. During my time there, I found myself simply enchanted with the curious trees and creatures inhabiting this relatively untouched ecosystem. 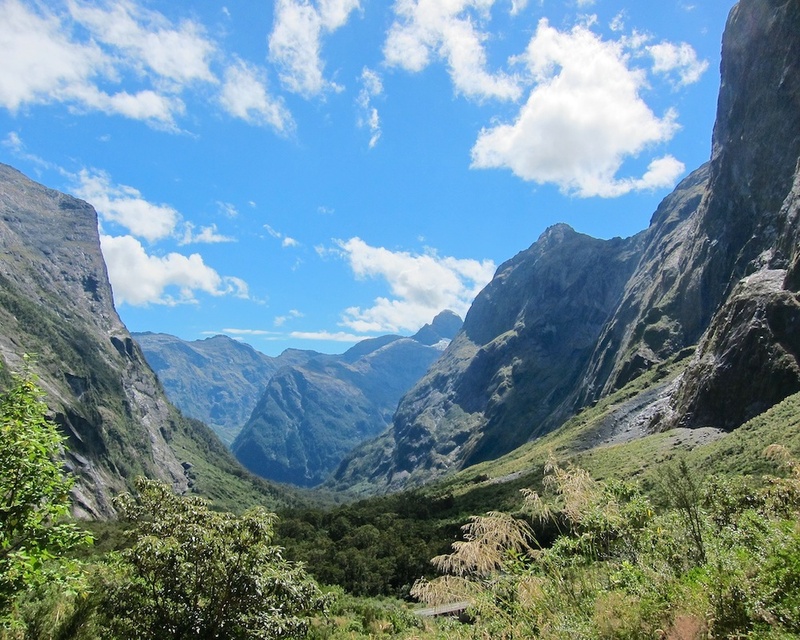 While there are plenty of hikes (including 3 Great Walks) to take through the backcountry, Fiordland’s epic landscapes are also easily accessed though less vigorous activities. 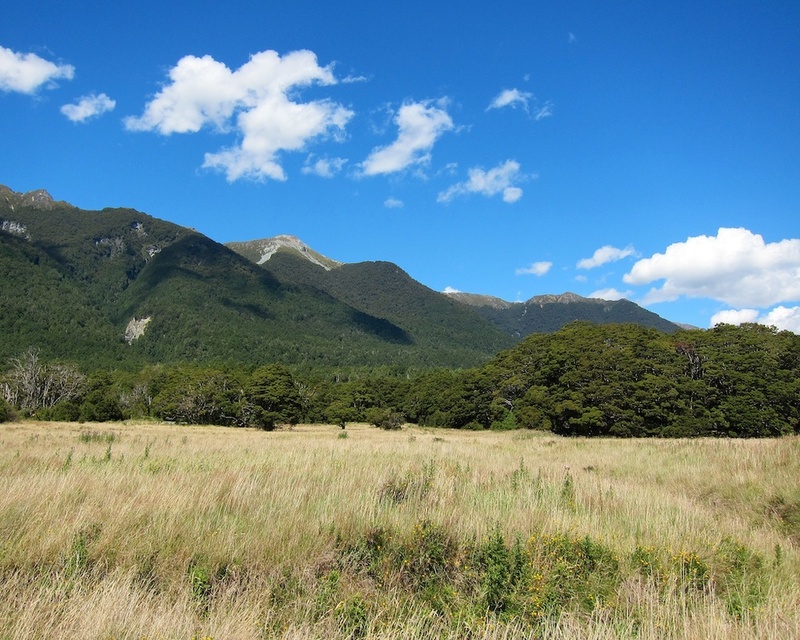 At the very least, a drive down Milford Road from the nearby town of Te Anau is a must do. Those 117 kilometers of road are so scenic; driving it just once might not be enough. Driving through the glacial carved valleys on Milford Road, the trees truly stand out. They cluster together and seem to be slowly flooding in across the grassy plains from the mountains. There’s just something about these trees; the way they move in the wind together, the way their limbs curl, and where they grow. 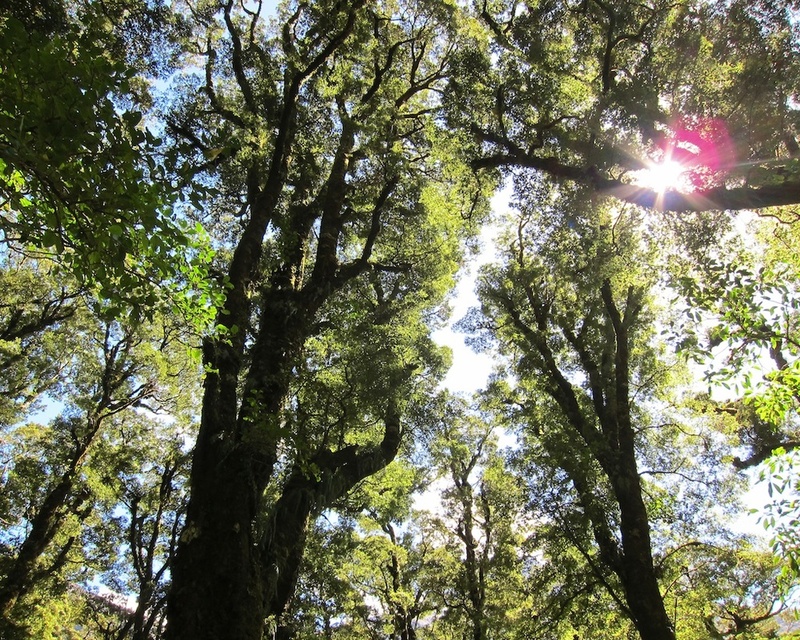 The combination of the Southern Beech, Rimu, Miro, Kahikatea, and Totara trees makes me feel like I’m stepping into a different, almost magical, world. I imagine these curious trees are planning some kind of slow invasion of the open space. Continuing along through the rainforests, which are filled with the Crown ferns and jewel-colored rivers, you get a glimpse into a landscape dominated by those intriguing trees. Driving up into the higher elevations of the park, the forest begins to thin and the landscape is instead ruled by granite peaks, ice, and cascades of water carving their way down the mountains. Also found in this part of the park is a rather cheeky species of alpine parrot, the Kea, who are frequently seen begging for treats along the side of Milford Road. 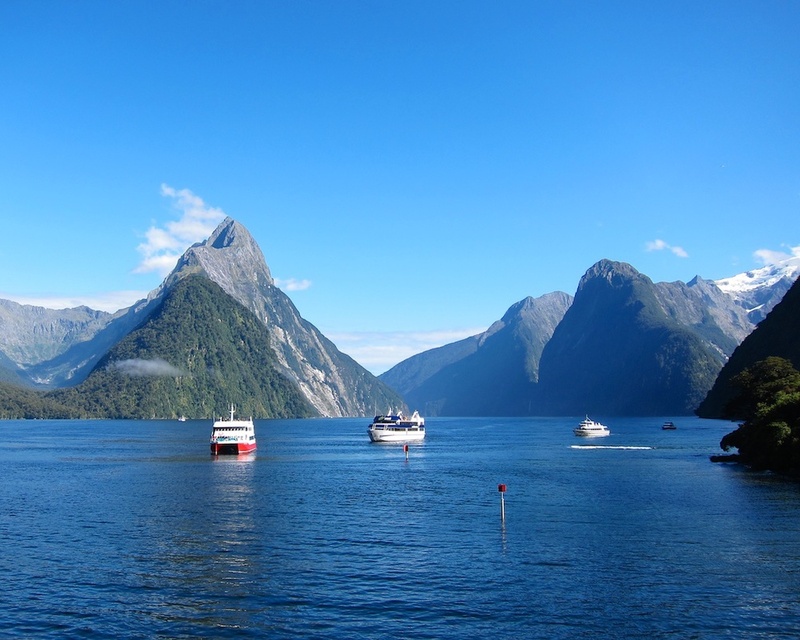 At the end of the road, small and large boats wait to take passengers on a cruise of Milford Sound. During the summer months, make sure to save your pennies and book early to take at minimum a short cruise through the fiord. On the sheer cliffs, the trees combine with moss to create nets of plant life which cascade down towards the water. The trees at the top function as anchors for the rest of the net. When enough anchor trees fail, the entire net goes tumbling down into the fiord. Leaving a vertical scar on the cliff from what is know as a ‘tree avalanche’. 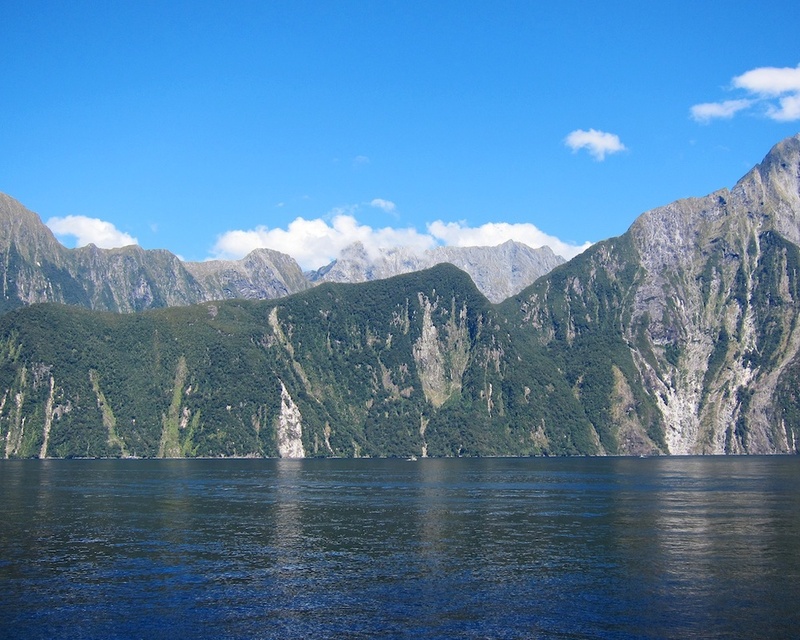 Cruising through the waters of Milford Sound, make sure to watch and listen for the creatures who live there. 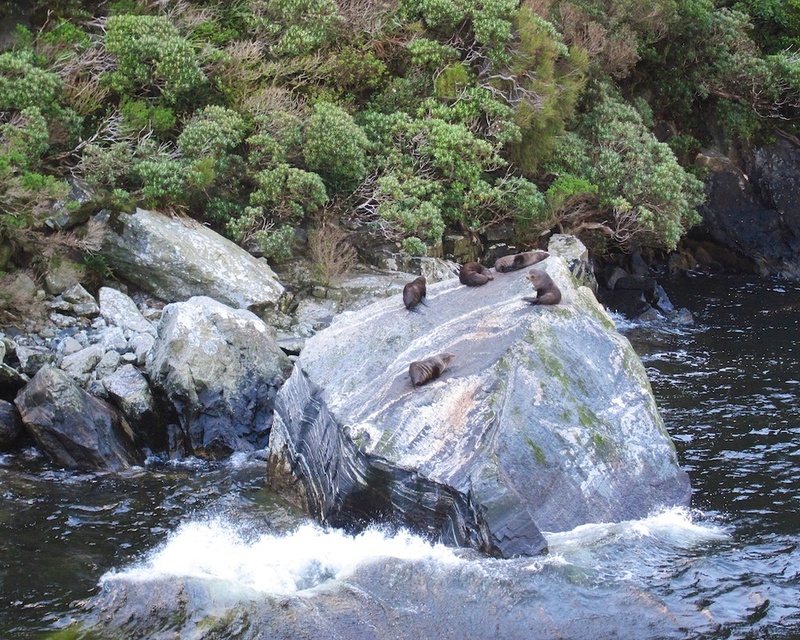 The New Zealand Fur Seals can often be found sunning themselves on large rocks. If you keep a close eye on the water and bring a pair of binoculars, you may even spot one of the two species of penguins; Fiordland Crested or Little Blue. We were fortunate enough to spot the frilly yellow forehead feathers of the rare Fiordland Crested penguin swimming off the side of our boat. 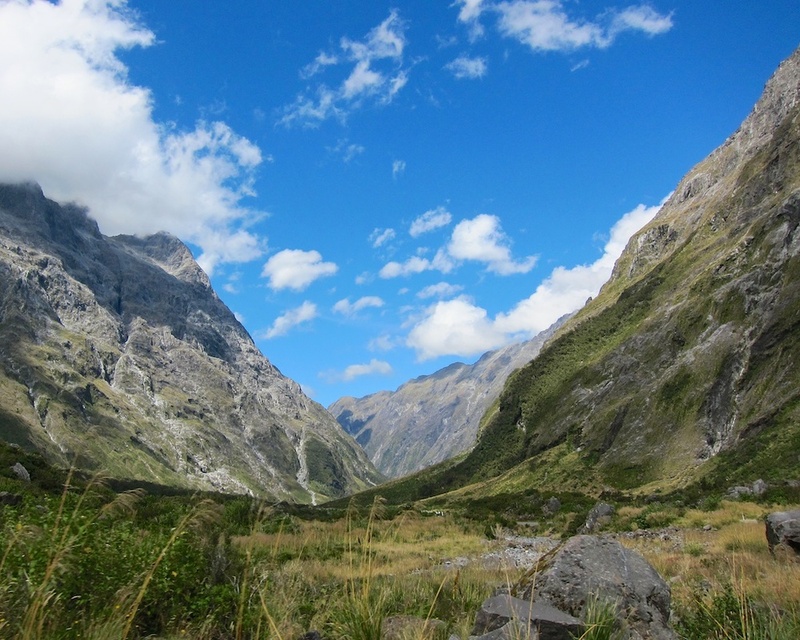 Milford Road is an out and back drive, so on the return trip make sure to stop at all the spots you missed on the drive into Fiordland National Park. If you find the flora and fauna as intriguing as I did, you’ll probably find it necessary to come back. Adina Marguerite Pease is a travel and food writer, photographer, and explorer based out of Seattle, Washington. Having traveled through 6 countries, 18 states, and over 70 cities since going gluten free in 2009 - it's become her passion to share her adventures and inspire others to go new places and try new things. You can find additional stories about her adventures in New Zealand on her blog, Gluten Free Travelette.